The SONIQ Burst TV sound system is an easy solution, with advanced technologies that deliver the clear audio your TV can’t. Enjoy movies like you never have before. 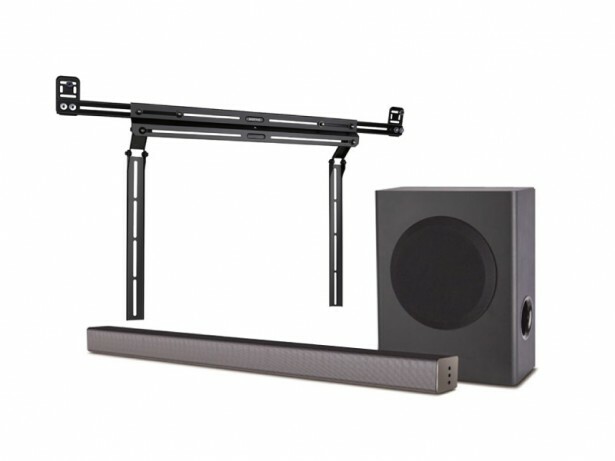 The Burst is so versatile you can position the soundbar wherever you choose—be that by the TV on a shelf or even mounted directly on the wall. “Setup” is probably the wrong word. All you have to do is connect the SONIQ Burst system to your TV with an audio cable that can be optical coaxial HDMI or analogue in order of preference. The Burst is compatible with all. Take command of your audio with the included remote control. Easily control your Burst so you can make adjustments on the fly.